Private Trivia Parties Now Available! If you missed our Trivia party last week or just can’t wait until the next event, LSF is now offering private trivia events, partnered with the Trivia Xperience! Pair this event with food & beverage packages from Press Kitchen and you have a unique team outing that everyone in your group will appreciate and love! Email ICEvents@LakeshoreSF.com to learn more about how you can book out your next team outing. Would you like to park at LSF for your AM work-out and then have your car ready waiting for you when you are done with work at the end of the day? Then Luxe Valet is the right answer for you! Luxe is an on-demand valet parking and car services app that sends valets to park for you and more, all from your smartphone. Request your drop-off and pick up wherever you are- it’s fast, affordable and convenient. Save $20 by using the promo code LAKESHORESF! 1. Download the free Luxe app in the Apple or Android store. 2. Create an account with your email address and enter LAKESHORESF promo code for $20 in parking credits! 3. Before you start your engine, open the Luxe app to request a valet by entering in your destination. We recommend selecting an address away from congestion where a valet can safely meet you. As soon as you get close to approaching the destination, Luxe valet will come to greet you as you arrive. 4. When you’d like your car returned, open the Luxe app to request your car. Please expect the car to be returned anywhere between 20-30 minutes (depending on traffic). Or, if you know when you’d like your car returned, you can schedule your return right in the app! Press Kitchen uses only Rice Bran Oil for all frying. Although more expensive, we use rice bran oil because of the health benefits that it contains. No other modality is more versatile in facilitating fat loss, enhancing mobility, increasing flexibility, improving functional strength, and practicing safe power training to keep your metabolism at peak levels 24 hours a day. 8 of our trainers have been certified to instruct the Russian Kettlebell Challenge. They are ready and waiting to take on your personal challenge. 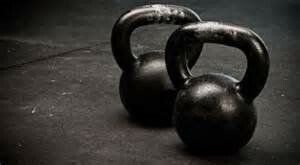 Kettlebell training will change the way you view program design, body composition, strength, and exercise prescription from a kinesthetic approach. These sessions can be done on an individual basis, duet, or small group. Please contact ICPT360@lakeshoresf.com for more information. Join the final Junior Squash Camp for the summer for the 2016 series. Our last week of training is the week of August 15th to August 19th Schedule: Monday to Friday 9:00 to 1:00 PM. Training is designed to improve all levels of play. 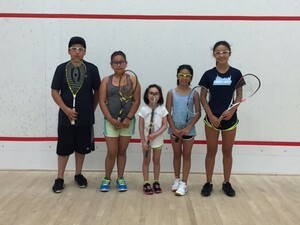 Join the growing number of junior squash enthusiasts in the Chicago area!